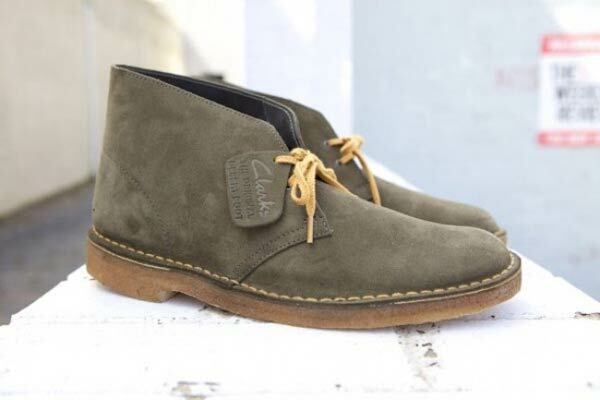 I find desert boots are a nice shoe for men to wear just before the cold settles in. They are super light and comfortable. They are very versatile and my favourite ones for now are the deep rich leather suede. Nathan Clark designed the shoe around 1950’s. The sole purpose was to give army officers in Burma a comfortable “crepe-soled rough suede shoe” as part of their day to day living. He also had design in mind for mental fashion therapy at its best,the feel good factor. 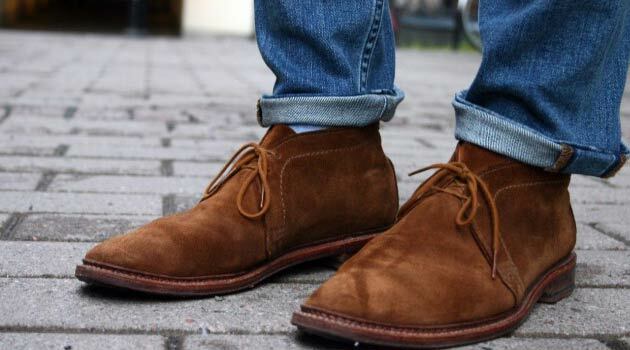 To this date desert boots do that, they make every man look and feel super cool. 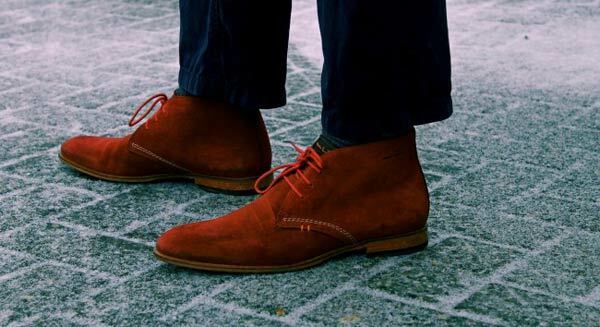 In any case if you want to add a quirky touch to your desert boots then choose different shades of laces. If I were you I would even change the lace colour altogether. Purple laces always look fab with rich suede. I’m a big fan of chunky soles. 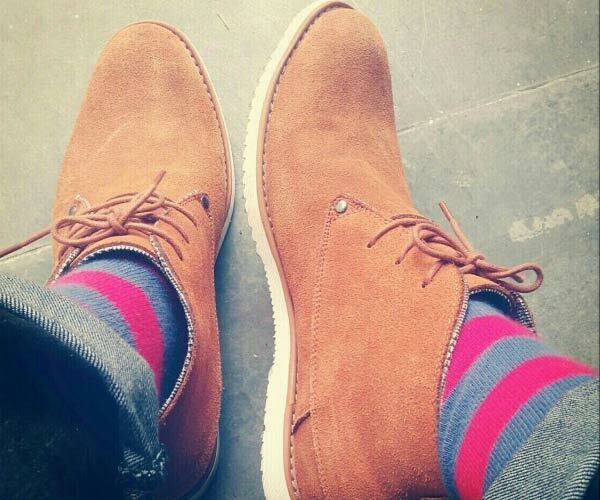 If you need to add some height then the fat sole looks great on a desert boot. I like the contrasting colour soles but if you are trying to add height with out showing it, then choose your sole that is discrete. But what ever you do make sure the shoe is all about being you. 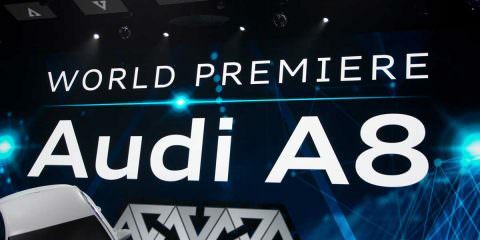 What a nice combination. 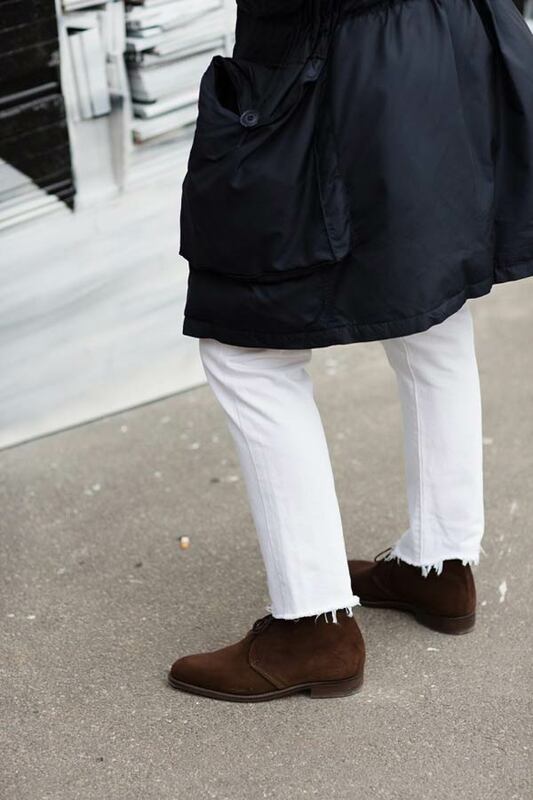 The contrast of the boots with your suit trousers just rocks. The roll up concept is a clean nice finish here and in this case not showing the entire boot looks picture perfect. 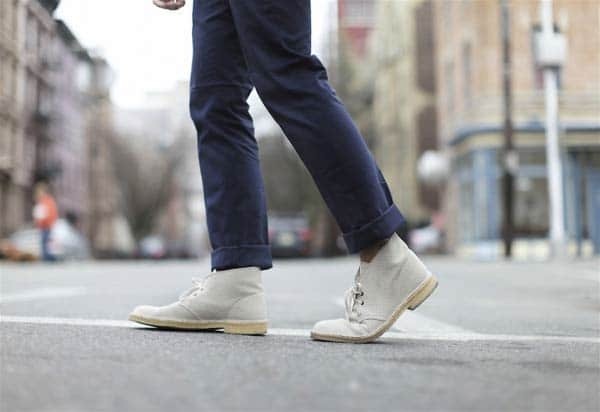 Denim and desert boots were made for each other. Its just about what colour denim you choose and in this case either a torn edgy finish, let alone roll ups, it’s all about personal taste. Whatever the case make sure the colours clash big time. 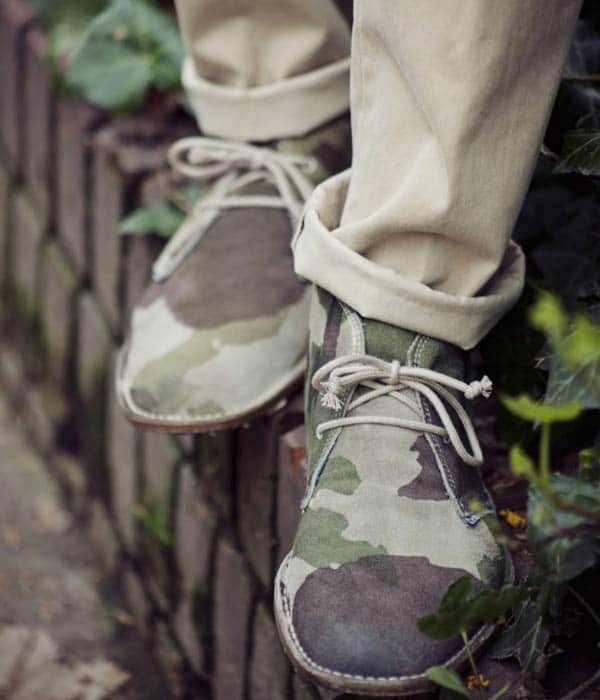 Camo and beige are made for each other and I would choose to roll up my cuffs even more. These boot needs to be seen at all levels in its whole design form. Devine on every level these are my favorite colour dark burnt suede boot and they need to be worn with dark navy fabrics at all times.